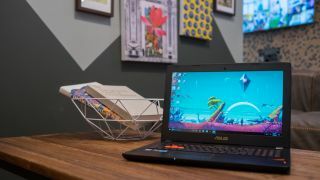 So, in this guide we’ve gathered together the best Asus laptops money can buy in 2019. If you’re looking for an Asus laptop, then we have a recommendation. If you’re looking for the very best all-round Asus laptop, then the Asus ZenBook 3 is the one to get. This is an exceptionally light Asus laptop, measuring less than half an inch thick, and weighing only two pounds. Asus’s ZenBook range of ultra-thin laptops have shown the world how you can make gorgeously-designed thin and light laptops, while still packing them with powerful components. It’s a pricey laptop, but if you’re after the very best of what Asus has to offer, the ZenBook 3 is a fantastic choice. Asus has struck gold with its new refresh of its ZenBook Flip S 2-in-1 laptop, with the Asus ZenBook Flip S UX370. Asus has shown its competitors how you can make a truly impressive 2-in-1 laptop that doesn’t feel like a compromise in any way. 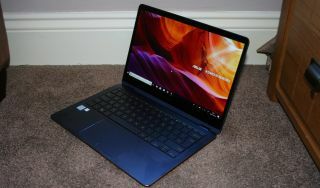 Not only is the Asus ZenBook Flip S UX370 one of the best, if not the best, convertible laptops money can buy right now, it’s one of the best Asus laptops in general. Asus has packed this laptop with a new Kaby Lake R 8th-generation processor, plenty of RAM and a super-fast PCIe SSD in certain models. Plus, its 2-in-1 design means you can use it as both a laptop and a tablet. The Asus ROG Zephyrus S GX701 is not only the best Asus gaming laptop in the world right now, but it’s the best gaming laptop of 2019 – period. This is because Asus has packed in a 6-core Intel processor, and the latest RTX 2080 graphics from Nvidia. However, not only does this make it one of the most powerful gaming laptops ever made, Asus has also managed to keep the Asus ROG Zephyrus S GX701 impressively thin and light. Most gaming laptops are big chunky affairs due to their high power components, but Asus has pulled off some brilliant design magic to make the ROG Zephyrus S GX701 not much thicker or heavier than many standard laptops. It’s incredibly expensive, though, but for the price you’re getting an amazing machine, and one of the best Asus laptops ever made. The best Asus laptops aren’t just premium all-singing, all-dancing devices with huge price tags, as the excellent Asus Chromebook Flip C302 demonstrates. The Asus Chromebook Flip C302 brings a lot of what we love about Asus laptops to an affordable Chromebook that’s ideal for day-to-day tasks and for students working on their homework. 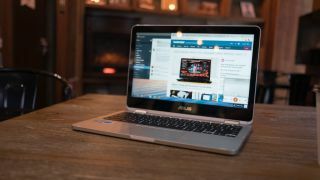 That means it’s got excellent build quality, a fantastic design and packs some great hardware that makes it one of the best Chromebooks on sale in 2019, with an Intel Core processor, full 1080p display, touchscreen, backlit keyboard and USB-C port. 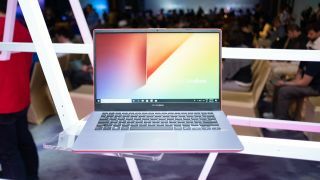 As we mentioned earlier in this buying guide to the best Asus laptops of 2019, Asus’s ZenBook range are flagship laptops that offer plenty of power and thin and light designs. 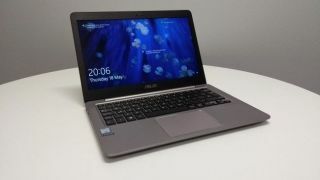 While many of them are expensive, it doesn’t mean you have to spend a fortune on a great Asus ZenBook, which is why we’ve included the Asus ZenBook UX310 in this list of the best Asus laptops. With still-good 7th-generation Intel Kaby Lake processors, a 178-degree viewing-angle QHD+ display, a USB-C port and an aluminum build, it’s still one of the best Ultrabooks out there, even after all this time. 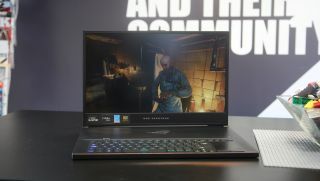 While the Asus ROG Zephyrus S GX701 earlier on in this list is undoubtedly the best gaming laptop Asus has ever made, its high price means it just won’t be for everyone. The good news is that there are a number of great Asus gaming laptops that are more affordable. The Asus ROG Strix GL502 is a great example that offers excellent performance at 1080p. One of the best things about Asus laptops is that there are premium laptops and powerful gaming devices, but Asus also does some brilliant budget and affordable laptops as well. The Asus VivoBook S15 is in our view the best budget Asus laptop that runs Windows 10. It comes with decent specs, including an Intel Core i7 processor, considering the price. Meanwhile, its 15-inch screen offers full 1080p for enjoying movies and TV shows on, and its a decent productivity tool as well. 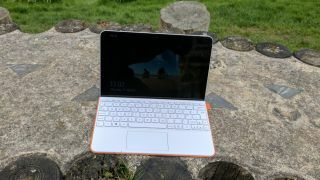 If you’re after a budget Asus laptop that can double as a tablet, then the Asus Transformer Mini is perfect. This tablet brings plenty of power and ports to the table – not to mention a fingerprint sensor, stylus and keyboard cover – all in the box. This is all topped off with a whopping 11 hours of battery life. Because of its cheap price and robust design, this is a brilliant Asus laptop for children and students, as it can be easily thrown in a bag and carried around without worry.